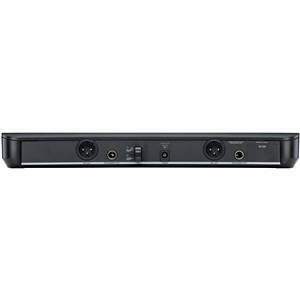 Shure BLX88UK Dual Diversity Wireless Receiver Component part of a wireless microphone system which operates within the Channel 38 frequency band (606MHz – 614MHz) introduced in 2013. 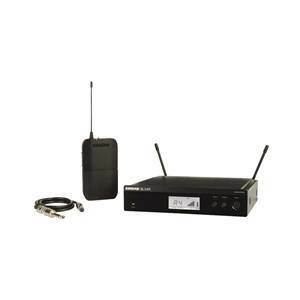 Component part of a wireless microphone system which operates within the Channel 38 frequency band (606MHz – 614MHz) introduced in 2013. 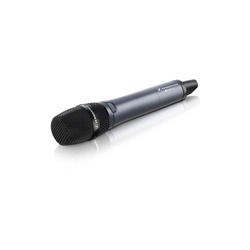 The BLX series are competitively priced products which maintains all the attributes associated with the legendary Shure brand name. 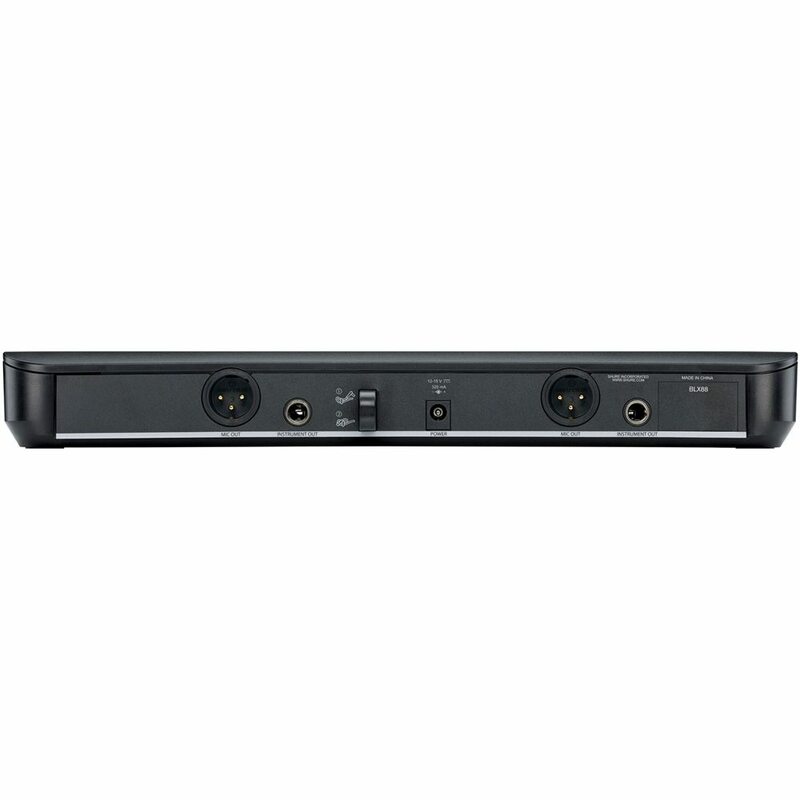 BLX offers Shure’s professional quality sound with simple setup and an intuitive interface. 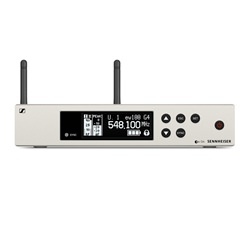 Range is not compromised by price being around 90 metres line of sight. Channel 38 for licensed operation in the UK. 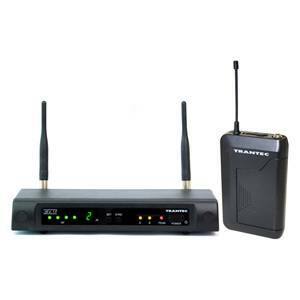 Low cost licenses for using this wireless system can be obtained from PMSE at https://www.pmse.co.uk/ .